Toys range in size and intricacy from plush stuffed animals to entire-assembly-required sets of tiny parts, meaning they also vary in terms of the ages of the children for whom they are intended. 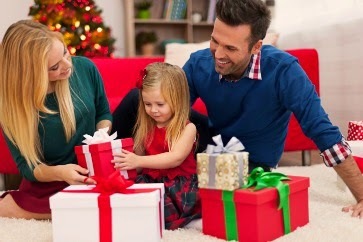 While it may be a really great feeling to buy the kids in your life whichever toys they want most, you’ll feel even better when you give them something that is fun and age range/safety appropriate. Birth to 6 months old—At this age, when infants develop through exploring with their eyes, ears and mouths, focus on gifts that are textured and safe for mouthing. There should be no small parts that could be swallowed or become lodged in the throat and nothing with potentially “entangling” cords, ribbon, elastic or strings. 6 months to 1 year old—This is a time of learning: to sit up, to crawl and to figure out what toys are made of, including banging them, dropping them, stacking them, and opening and closing them. Avoid anything that is breakable, has sharp edges or is small enough to fit entirely in the mouth (swallowing risk). 1 to 2 years old—Kids at this age are on the move, and that means that they need toys that can keep up with their fast paces. Keep your selections focused on fun, adventurous games and toys without sharp edges or small parts. 2 to 3 years old—Physical games rule in this age group! Choose toys that keep kids engaged and active, still avoiding small parts and anything sharp or too rough-edged. 3 to 6 years old—Children act like miniature adults in this age group, pretending and imagining their way through the majority of their playtime sessions. They will love things that engage them and allow the pretending to continue, but make sure to keep those things non-toxic and sharp edge-free. 6 to 9 years old—Grade school children love informational experiences, games, competitions and crafts. Give the gift of games that focus on mental and physical engagement. 9 to 12 years old—In this period of life, children develop hobbies and life-long interests. Active play, team sports, art projects, science projects and more will make perfect gifts. Prevent the Flu Before it Gets to You! Misery loves company and germs know it best! With flu season well underway, it’s always good to be reminded of some simple hand hygiene techniques that everybody can use to reduce the chances of catching the flu or a cold. Listen to your doctors when they say that you should always wash your hands throughout the day before and after certain activities, such as eating a meal and using the restroom. Your hands are the most active and “touchy” part of your body, meaning that they come in contact with the most germs on any given day. Germs can be on objects like handrails, door knobs, toys, computer equipment and other people’s hands. How exactly should you wash your hands? A good way to start is with plain old soap and water. The easiest step is to wet your hands in a sink lukewarm water. Apply one or two pumps of soap onto your hands to make sure you have enough. When lathering, be sure to get all around your hands including thumbs, under fingernails, in between your fingers, and the backs of your hands all the way up to your wrists. Some people sing “Happy Birthday” in their heads to assure that they wash their hands for at least 20 seconds, which is the optimal time to scrub away the germs. Afterward, rinse your hands with warm water to remove all of the soap from your hands and dry your hands with a towel. Use that towel to turn off the faucet and, if needed, to grasp a doorknob or handle. If you don’t have access to soap and water, an alcohol-based hand sanitizer that contains at least 60 percent alcohol will do the trick. These products are great to carry on in your pocket or purse. Alcohol-based hand sanitizers are very effective as the alcohol kills most bacteria/viruses on contact. These products are actually less drying to hands than soap and water washing. No matter how clean you may think your hands may be, remember that they touch a lot of germ-laden surfaces throughout the day! Keeping your hands away from your nose and mouth is a great way to prevent germs from infecting your body. Also, sharing food should be kept to a minimum, as that is a prime way for germs to spread from one person to another. Have you already come down with a cold or the flu? GBMC's primary care physicians are accepting new patients. Visit www.mygbmcdoctor.com or call 443-849-GBMC (4262) to find a physician who is right for you. During my most recent appointment with Dr. Akst, he said my throat looks better than ever! 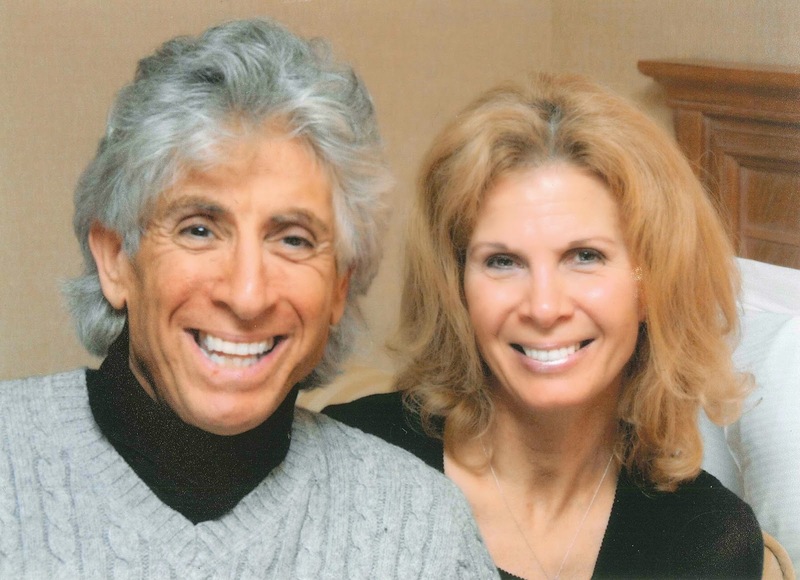 I have never liked looking at the screen showing images of my vocal cords, but during this last appointment, Dr. Akst strongly encouraged me to look at the remarkable “before and after” photos. It was truly amazing to see the difference that I can already feel and hear. Today, everyday life is enjoyable. It’s much easier now to communicate with my clients! I’m married to a wonderful woman and a typical weekend finds us relaxing at the pool in our backyard with any of our nine grandchildren. In my free time, I help to rehabilitate birds of prey and tend to my freshwater stingray tank. There’s never a dull moment at our house! I’m so grateful to Dr. Akst and the Voice Center for allowing me to continue living the life I love. Fender Voice & Music Studio—Voice therapy for performing artists is provided in the fully equipped music studio offering guitars, a digital baby grand piano, amplifiers, microphones and recording capabilities to meet the needs of performers. Laryngeal Procedure Room—Laryngeal Stroboscopy, vocal fold augmentation/injections and vocal fold laser treatments are performed in the laryngeal procedure room. 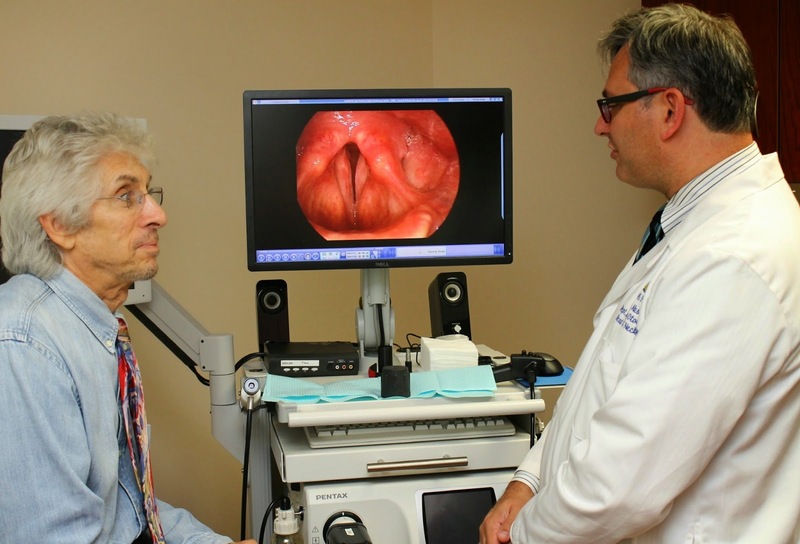 These procedures are performed for a variety of vocal fold impairments. Stroboscopy Room—In the stroboscopy room, a physician or speech pathologist uses an endoscope, which provides telescopic video recordings of a patient’s larynx, to help diagnose underlying causes of a patient’s voice issues. During the procedure, the physician and the speech pathologist instruct the patient to perform various vocal tasks in order to observe vocal cord movement and to identify any vocal pathologies. For additional information about the Johns Hopkins Voice Center located at GBMC, visit www.gbmc.org/voice or call 443-849-GBMC (4262). More than ten years of studies have suggested that moderate alcohol consumption can help improve cardiovascular health. As if that wasn’t reason enough to enjoy a glass of red once in awhile, recent research has shown that red wine seems to provide an even wider variety of health benefits. Read on for more information about how it works. Red wine contains polyphenols, antioxidant-rich compounds that the Mayo Clinic says may aid in promoting overall health and well-being. Red wine also contains flavonoids, which have antioxidant, antiviral and anti-inflammatory properties, as well as resveratrol, a health-boosting substance that comes from the skin of the grapes used to make the wine. 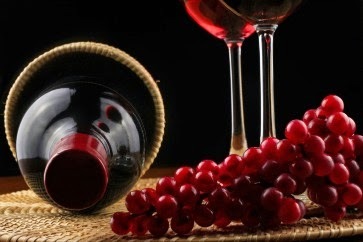 Antioxidants in red wine affect more than just heart health. Oxidants, also called “free radicals,” travel throughout the body on a daily basis and can interrupt normal cellular function if they build up. According to an article in Dermatology and Therapy published by dermatologists at the University of California, antioxidants in polyphenols fight the oxidants raging through the body, breaking up buildups and helping the body to go back to normal functioning. Believe it or not, red wine is now being praised for its possible role in clearing up acne, according to studies performed by dermatologists at UCLA. Antioxidants in resveratrol, which was added into anti-acne solutions, seemed to keep acne-causing bacteria from growing back. According to an article by the Yale-New Haven Hospital, studies performed at the University of California observed a possible link between resveratrol and a decrease in tumor cell formation in some cancers. The same study showed that the substance might help form nerve cells, which could possibly help to treat neurological conditions like Parkinson’s disease. In a recent study published in the May edition of the Journal of Physiology, the resveratrol found in red wine might “enhance exercise training and performance” by improving the benefits of moderate exercise. While this doesn’t mean that it is time to give up gym memberships, it does mean that a glass of wine post-workout might help with recovery and improve the effects of moderate exercise performed by those who are physically incapable of working out. Coat the inside of a 6-quart, electric slow cooker (crockpot) with cooking spray. 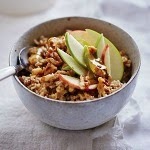 Pour and mix into slow cooker water, apple cider, steel-cut oats, 7 grain blend, ground cinnamon and salt. Stir well. Spoon 2/3 cup oat mixture into each of 8 bowls. Top each with 2 tbsp milk, 2 tsp syrup, 3 tbsp apple and 1 tbsp nuts and enjoy!